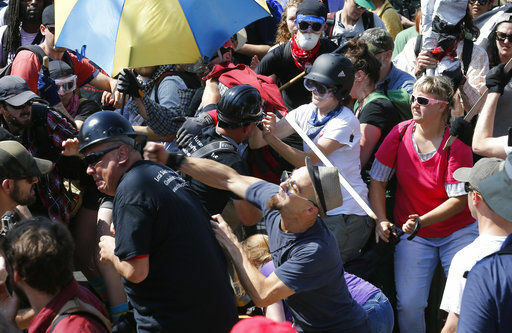 SALT LAKE CITY (AP) — The Mormon church is joining other organizations in condemning the racism displayed during a white supremacist rally Saturday in Virginia that spiraled into deadly violence. The Utah-based religion pointed to a speech given more than a decade ago by late church president Gordon B. Hinckley, in which he said people who make disparaging remarks about other’s race can’t be considered true disciples of Christ. Charlottesville descended into violence Saturday after white nationalists clashed with people who came to protest the rally. One woman was killed and others injured when a car rammed into a crowd of anti-white nationalist protesters.